This 59 acre community of Sutters Pond is located in the City of Kennesaw, Cobb County Georgia 30152. 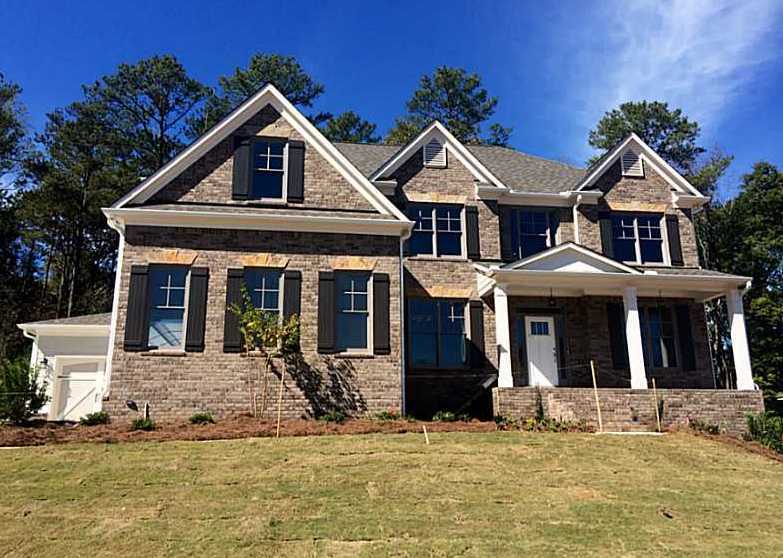 This wonderful community of 66 homes is conveniently located near Stilesboro Road and Marietta Country Club. There are a variety of homes on slabs (no basement) and basements (finished and unfinished). Most homes have 3 car garages and the builder includes Cotton State Properties. Neighborhood amenities include Swimming Pool, Lake and Fishing and Home Owner Association Fees (HOA fees), at time of post, appear to be $700.00 a year with an initiation fee of $500.00. Sutter’s Pond Is A Conservation Neighborhood And Offers A Community Lake. The list prices for a home in the past to present, at time of post, range in price from between $400,000-$500,000. Houses built in the community between 2013-2014. Most homes typically have 5 bedrooms & 4 bathrooms. Lot Properties range in size on average between 1/3 acre to 1/2 acre. The median sales price for a home, at time of post, is $415,400.00. Total amount of days on average, a home is listed for sale in appears to be 63 days, at time of post. The community appears to have approximately homes. Location and Directions to : Located between Acworth Due West Road and Stilsboro Rd. From I-75 North, take Exit 267B toward US-41/GA-5. Merge onto Canton Road Conn. Turn right onto US-41/Cobb Parkway. Turn left onto Kennesaw Due West Road. Then turn right onto Hamilton Road NW. The community will be on the right. 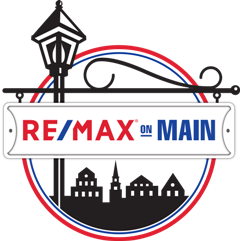 The streets located within the subdivision include Sutters Pond Drive NW, Sutter Pond Trail and Sutter Pond Run and Sutters Pond Way. 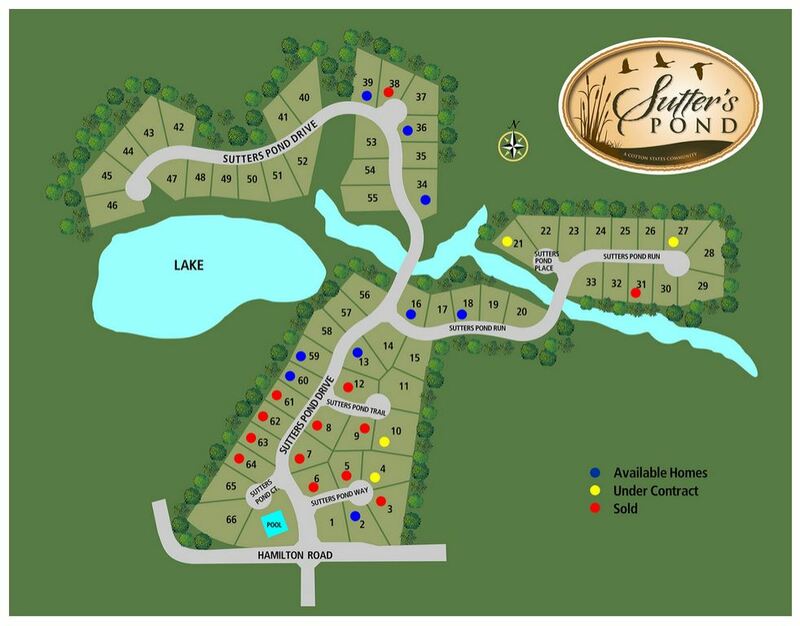 Sutter’s Pond is located in close proximity to the restaurants and shopping at Town Center Mall. The property is also close to Lake Acworth, Lake Allatoona and Kennesaw Mountain National Park. Access to I-75 and I-575 is via Chastain Road. McCollum Airport is a nearby private aviation airport.